Tagline: A coming of age story set against the stunningly spectacular and rugged coast of the Pacific Northwest. Story: What begins as a tranquil whale watching tour soon plunges into a suspenseful fight for life. Their only hope lies with a young girl coming to terms with the recent loss of her mother and her spiritual almost mystical connection with these magnificent creatures of the deep. A poignant, heartfelt and moving story of universal drama. 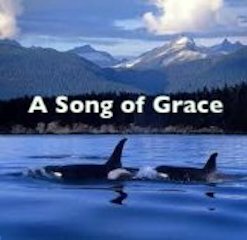 Socially and environmentally relevant, SONG OF GRACE is a wonderful family oriented journey of discovery.